In the Gallagher Law Library at the University of Washington one day, I found a remarkable little book. I was looking for vintage true crime. I found a gem. 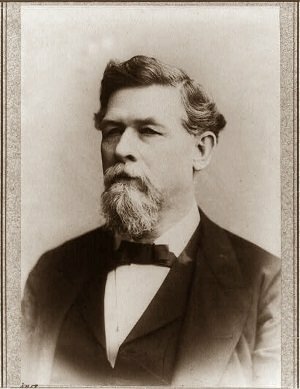 Carlotta Shotwell was a young, wealthy woman who had been defrauded by her “husband,” the former Confederate cavalry general, Philip Dale Roddey. She was arrested on false charges and thrown (pregnant) into The Tombs New York. The Tombs was the local name for the New York City Halls of Justice and House of Detention. 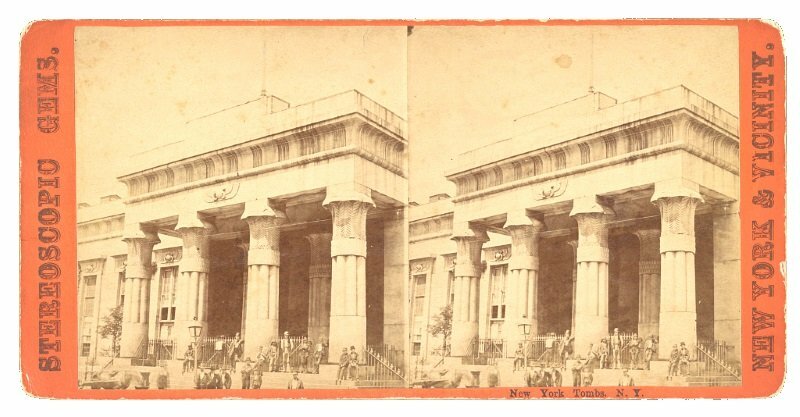 Pictured above, the Egyptian-Revival facade sheltered a notorious institution full of corruption and scandal. It had also been built upon a foul-smelling landfill and had begun to subside almost as soon as it was built, resulting in perpetually damp foundations. Perhaps Carlotta should have suspected something when Roddey told her they would act as husband and wife but delay the ceremony until he straightened out some legal affairs that were plaguing him. But, she was in love with a charming and seemingly-accomplished man. Roddey was twenty years her senior and had been a respected Confederate cavalry commander in the American Civil War. He even had connections in Washington to the new Grant administration. What could go wrong? But if the former Rebel fighter thought this young “girl” would collapse and take her fate quietly, he miscalculated. Carlotta’s trial was front page news in the New York Times during its entire run. She seems to have had a knack for playing to the gallery. Press coverage was mostly sympathetic and though her legal situation was quite dire, she was not about to acquiesce without a fight. 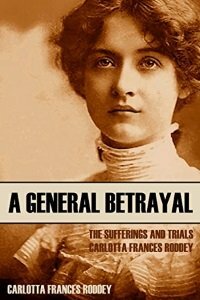 When it was all over, Carlotta attempted to restore her reputation and fortunes (minus over $50,000 in railroad bonds) by writing a book (below) of her travails. In it, she comes across as somewhat less naive than one might expect. She was determined to claim the narrative and let the world know she’d been wronged. Roddey? He absconded to London, where he later died.